2013 was a big year for famed Spanish chef Dani García, who holds two Michelin stars for his Restaurante Calima in Marbella. 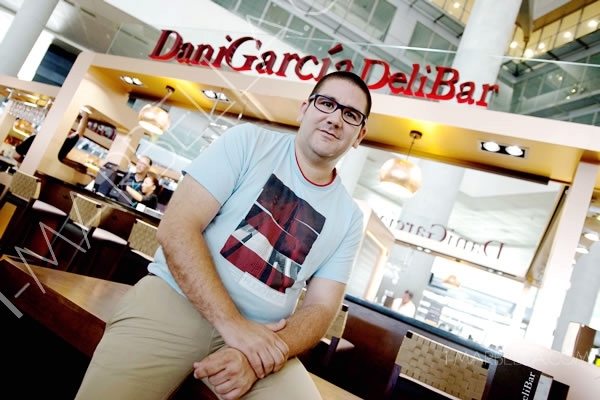 First, he opened the ambitious Manzanilla, in New York City, and now, he is following it up with the Dani García Deli Bar in the Malaga Airport. With seating for approximately sixty diners, this new space centres on a concept designed to give travellers and gastronomes the utmost flexibility when it comes to their food, by giving them the option of choosing between different ways of preparing the same product. In keeping with this chef’s culinary traditions, these ingredients will reflect an emphasis on local gastronomic products, while the space combines the concepts of bar, deli, tapas bar, restaurant and take-away, depending on the needs of each traveler. It is also important to point out that the menu for this new space was designed top to bottom by this celebrated chef himself – meaning that diners will also get to sample some of his consummate favorites. 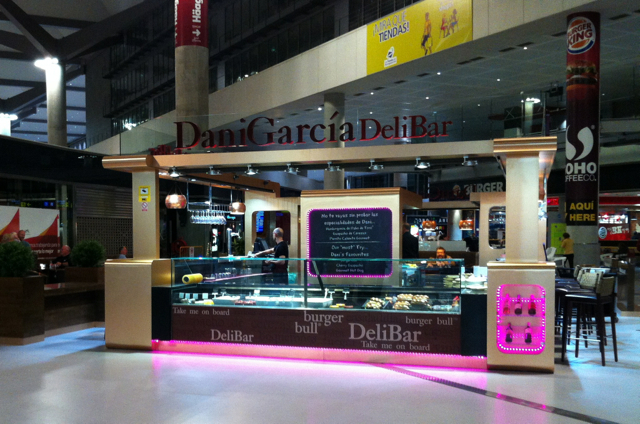 With its prime location in the Malaga Airport, the take-away, or “Menu Take on Board” will undoubtedly be popular among visitors to this new establishment, thanks to a container system that guarantees that your food will be kept at the optimum temperature until your seatbelts are fastened and your tray-tables are in an upright position.